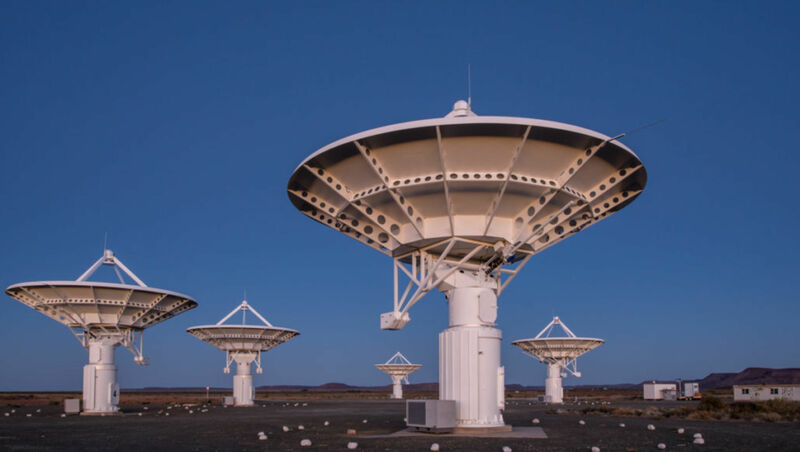 The traditional method of searching for extraterrestrial signals in space is through radio astronomy, the method that’s used at the SETI Institute’s Allen Telescope Array (ATA), among other sites. 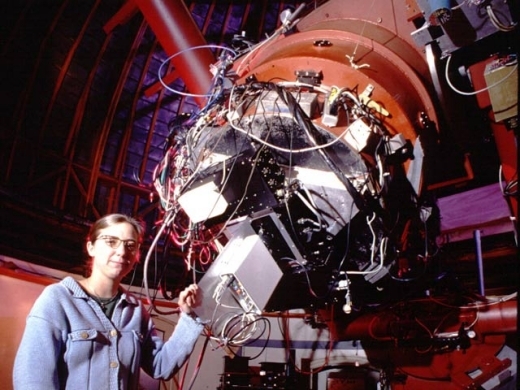 “I’m anxious to see the SETI search become more methodical in conducting and publishing well-designed search programs,” she says. If we detect something, Turnbull says it will answer questions about how aliens communicate with each other. She says we should look at animals on Earth — “especially in collective ‘hive’ minds” and that we should look out for senses that some animals have that humans lack, as well as the nature of memory. The search for alien technology is about to get much more efficient. No image credit. I’ve bet a cup of coffee to any and all that by 2035 we’ll have evidence of E.T. To many of my colleagues, that sounds like a losing proposition. For more than a half-century, a small coterie of scientists has been pursuing the Search for Extraterrestrial Intelligence, or SETI. And we haven’t found a thing. I’m optimistic by nature—as a scientist, you have to be. But my hopeful feeling is not wishful thinking; it is firmly grounded in the logic of SETI. Half a century sounds like a long time, but the search is truly in its early days. Given the current state of SETI efforts and abilities, I feel that we’re on the cusp of learning something truly revolutionary. 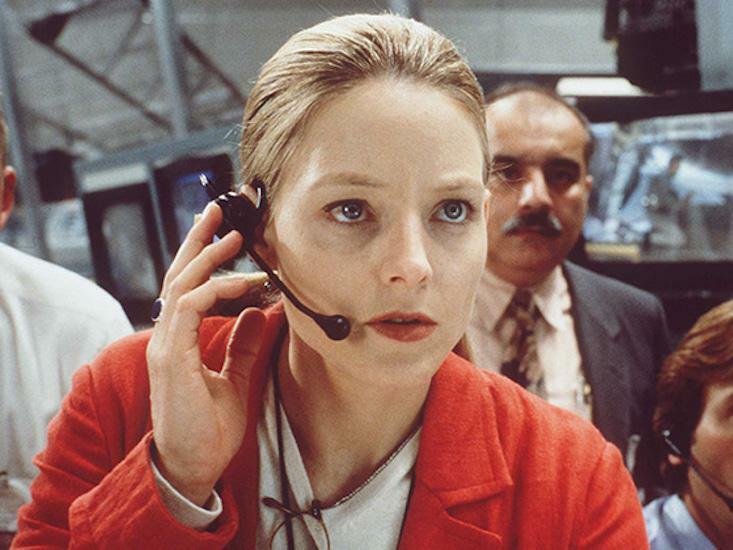 Most of our experiments so far have used large radio antennas in an effort to eavesdrop on radio signals transmitted by other societies, an approach that was dramatized by Jodie Foster in the 1997 movie Contact. Unlike other alien potboilers, Contact’s portrayal of how we might search for extraterrestrials was reasonably accurate. Nonetheless, that film reinforced the common belief that SETI practitioners paw through cosmic static looking for unusual patterns, such as a string of prime numbers. The truth is simpler: We have been searching for narrow-band signals. “Narrow-band” means that a large fraction of the transmitter power is squeezed into a tiny part of the radio dial, making the transmission easier to find. This is analogous to the way a laser pointer, despite having only a few milliwatts of power, nonetheless looks bright because the energy is concentrated into a narrow wavelength range. A modern SETI receiver simultaneously examines tens or even hundreds of millions of channels, each having a cramped 1-hertz bandwidth. That bandwidth is 5 million times narrower than a TV signal and lacks the capacity to carry information—a message. But the idea is to first discover aliens that are on the air, after which a far larger instrument would be built to dig out any modulation. To aim our antennas, SETI has traditionally used two approaches. One is to scan as much of the sky as possible; the other is to zero in on nearby star systems. You might think that the former would have an edge, since it makes no assumptions about where the aliens might be hanging out. But a sky survey spends most of its time looking at empty space. If you subscribe to the conventional view that extraterrestrials will most likely be ensconced on planets or moons, then it’s better to devote precious telescope time to examining nearby star systems. One current targeted search is the SETI Institute’s red dwarf survey, which takes place at the Allen Telescope Array, an ensemble of 42 antennas hunkered down in the California Cascades. We are going down a list of 20,000 small stars that are prime candidates for hosting habitable planets. These ruddy runts are both numerous and, on average, old. Most have been around for billions of years, the time it took life on Earth to evolve from microscopic slime to high-tech hominids. Astronomers estimate that roughly one-half of all red dwarfs might have a rocky world in the habitable zone, where temperatures would abide liquid water. The SETI Institute is not the only band of alien hunters. Buoyed by a large infusion of money from the Russian billionaire Yuri Milner, the SETI group at the University of California, Berkeley, is renting time on the Green Bank Telescope in West Virginia and the Parkes Radio Telescope in the sheep country west of Sydney, Australia. Their decade-long project, known as Breakthrough Listen, also homes in on individual star systems. While these efforts are broadly similar to what’s been done for decades, they are not your daddy’s SETI. The rapid growth in digital processing means that far larger swaths of the radio dial can be examined at one go and—in the case of the Allen array—many star systems can be checked out simultaneously. The array now examines three stars at once, but additional computer power could boost that to more than 100. Within two decades, SETI experiments will be able to complete a reconnaissance of 1 million star systems, which is hundreds of times more than have been carefully examined so far. SETI practitioners from Frank Drake to Carl Sagan have estimated that the galaxy currently houses somewhere between 10,000 and a few million broadcasting societies. If these estimates are right, then examining 1 million star systems could well lead to a discovery. So, if the premise of SETI has merit, we should find a broadcast from E.T. within a generation. That would spare me the expense of buying you a cup of coffee. Furthermore, scientists have been diversifying. 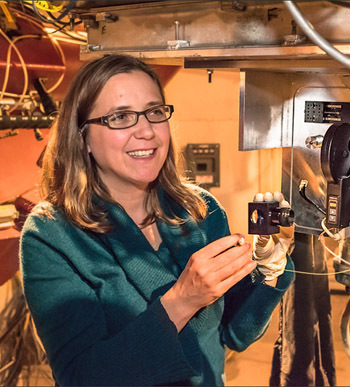 For two decades, some SETI researchers have used conventional optical telescopes to look for extremely brief laser flashes coming from the stars. In many ways, aliens might be more likely to communicate by pulsed light than radio signals, for the same reason that people are turning to fiber optics for Internet access: It can, at least in principle, send 100,000 times as many bits per second as radio can. These so-called optical SETI experiments have been limited to looking at one star system at a time. But like their radio cousins, they’re poised to become speedier as new technology allows them to survey ever-wider tracts of sky. Physicists have also proposed wholly new modes of communications, such as neutrinos and gravitational waves. Some of my SETI colleagues have mulled these options, but we don’t see much merit in them at the moment. Both neutrinos and gravitational waves are inherently hard to create and detect. In nature, it takes the collapse of a star or the merger of black holes to produce them in any quantity. The total energy required to send “Hello, Earth” would be daunting, even for a civilization that could command the resources of a galaxy. 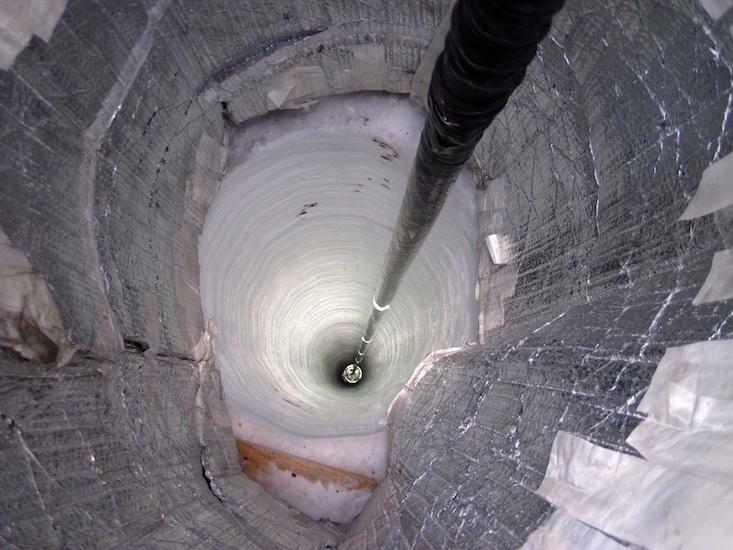 IceCube, the University of Wisconsin’s big neutrino detector in Antarctica, is sensitive only to very high-energy particles, which are precisely those that would be costliest to produce. In all the years it has been operating, the instrument has detected a total of a few dozen of these particles, even though it is a cubic kilometer in size. As for gravitational waves, the Laser Interferometric Gravitational-Wave Observatory has been able to detect colliding black holes over the final second of their infall. It is hard to imagine that aliens would go to the trouble of smashing together two huge black holes for a second’s worth of signal. But there is a completely different approach that has yet to be explored in much detail: to look for artifacts—engineering projects of an advanced society. 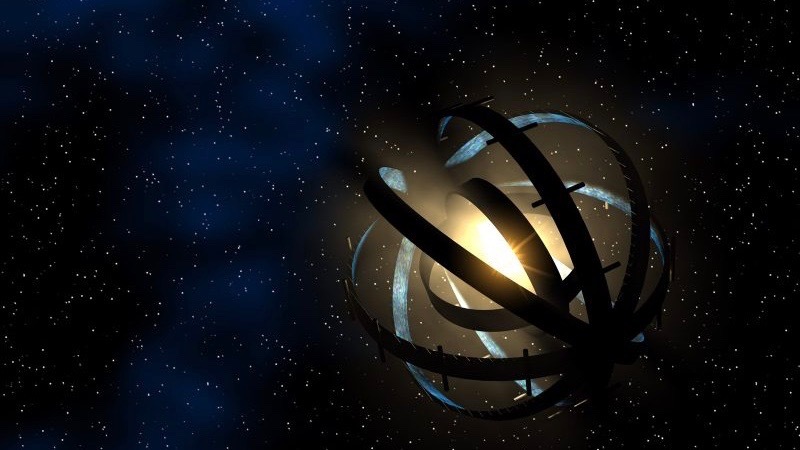 Some astronomers have suggested an alien megastructure, possibly an energy-collecting Dyson sphere, as the explanation for the mysterious dimming of Tabby’s star (officially known as KIC 8462852). It is a serious possibility, but no evidence has yet been found to support it. It’s also conceivable that extraterrestrials could have left time capsules in our own solar system, perhaps millions or billions of years ago, on the assumption that our planet might eventually evolve a species able to find them. The Lagrange points in the Earth-moon system—locations where the gravity of Earth, moon, and sun are balanced, so that an object placed there will stay there—have been suggested as good hunting grounds for alien artifacts, as has the moon itself. Another idea is that we should search for the high-energy exhausts of interstellar rockets. The fastest spacecraft would presumably use the most efficient fuel: matter combining with antimatter. Their destructive “combustion” would not only shoot the craft through space at a fair fraction of the speed of light, but would produce a gamma-ray exhaust, which we might detect. Rockets could be sorted out from natural gamma ray sources by their relatively quick motion across the sky. The appealing thing about artifacts is that finding them is not time-critical. In contrast, to search for signals, you need to activate your instruments at the right time. It doesn’t help to look for radio pings, laser flashes, or neutrino bursts if E.T. reached out to touch us during the reign of the dinosaurs or will do so a hundred million years from now. Artifacts have no such synchronicity problem. That said, looking for artifacts has its own bummer factors. Anything beyond our solar system would need be truly huge to be visible; cousins of the starship Enterprise would be very difficult to find. SETI is not a traditional science problem in which a hypothesis can be falsified. We can never prove that the aliens are not out there, only that they are. But our ability to search improves with every technological innovation. I compare the situation to the year 1491. European civilization had been around for 2,500 years, yet the Americas were not on any map. Mesoamerican civilization, for its part, had been around for about as long, but also was ignorant of what lay over the oceans. With a glimpse and a shout from a sailor on the Pinta, everything changed. [No mention of Laser SETI, the latest attempt from The SETI Institute. Seth Shostak is the senior astronomer at the SETI Institute. He chaired the International Academy of Astronautics’s SETI Permanent Study Group for a decade and hosts the SETI Institute’s weekly hour-long science radio show, “Big Picture Science.” He is the co-author of a textbook on astrobiology and of Confessions of an Alien Hunter: A Scientist’s Search for Extraterrestrial Intelligence. Follow him on Twitter @SethShostak. 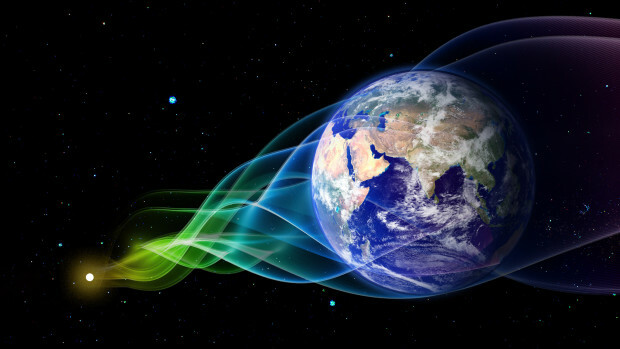 Until now, SETI experiments (Search for Extraterrestrial Intelligence), whether listening for a radio transmitter or searching for a high-powered laser, have assumed that ET is on-the-air all the time, so that wherever the instrument is pointed, the signal will be there. Laser SETI is the first experiment to circumvent this assumption. 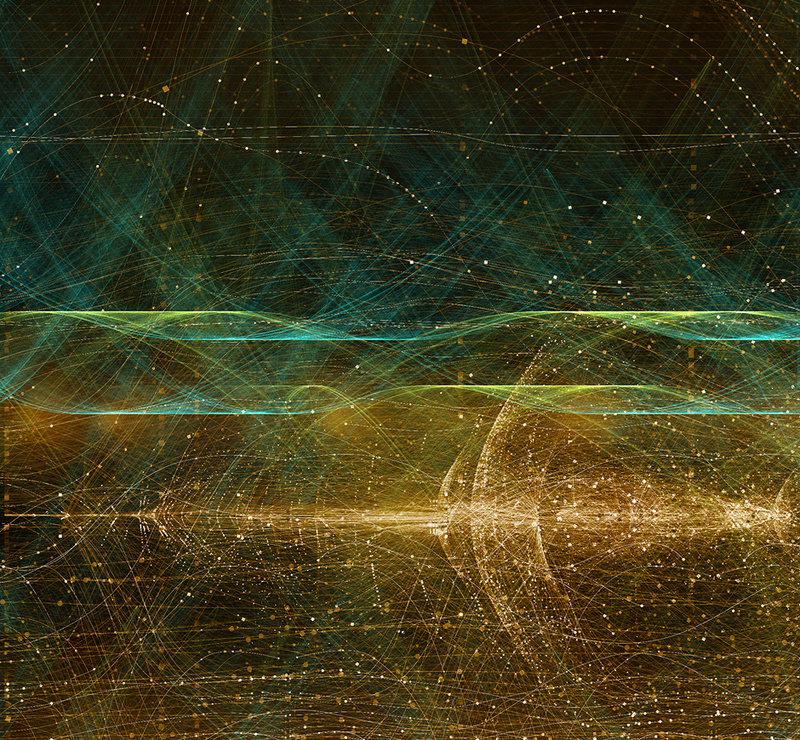 Laser SETI could find a very short ping from anywhere on the night sky. Indeed, it could detect a laser flash as short as a millisecond or less; and one that might not repeat for days, weeks, or even longer. Or ever. Searching all-the-sky all-the-time is an essential capability when looking for intermittent signals. Radio experiments will someday be able to do that, but Laser SETI can do so right now–with your help. Laser SETI makes this possible by using multiple, redundant, and inexpensive detectors, located strategically around the globe. And experiments of the past two years have shown that this technology works. 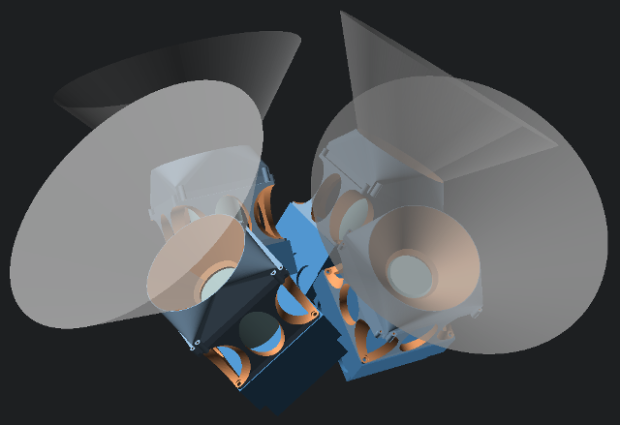 The Laser SETI campaign will fund the remaining development and the installation of two detectors in a fully operational observing campaign. This would be a prelude to large-scale production and deployment around the world. The SETI Institute is a private, nonprofit, scientific research organization, where more than 70 scientists study the origin and nature of life in the universe. We have a passion for discovery and exploration, and strive to be ambassadors of science to everyone. Frank Drake did the first SETI observations at the Green Bank Observatory in 1960. Project Phoenix was a decade-long search using radio telescopes around the globe, and now with our game-changing Allen Telescope Array commissioned in 2007, the team at the SETI Institute continues its relentless innovation. We’re proud to continue that tradition today, with Laser SETI led by Silicon Valley engineer Eliot Gillum and astrophysicist Gerry Harp, supported by Jill Tarter (made famous by Jodi Foster’s role in Carl Sagan’s movie Contact, and winning the TED prize) and Seth Shostak (astronomer and host of the Big Picture Science radio program), and advised by other scientists from the SETI Institute and elsewhere. 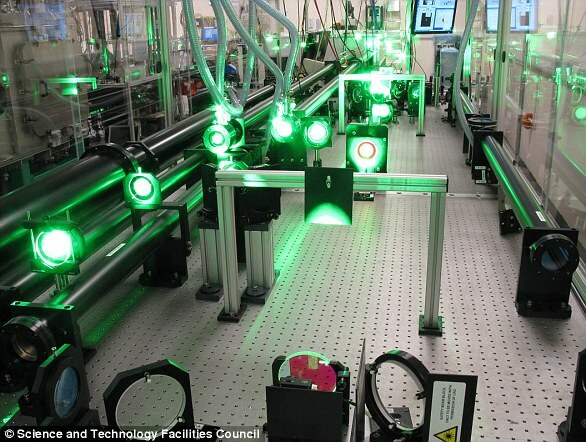 Laser SETI has been under development for more than two years. 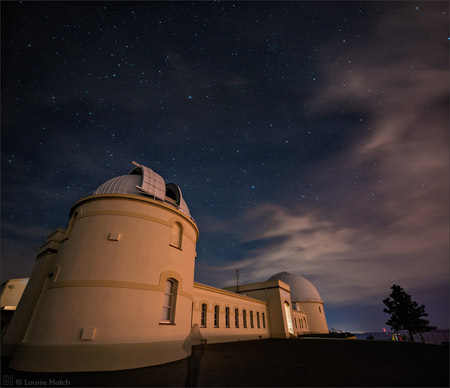 The instrument and associated software have now been proven with basic sky observations, validating the design and various types of sensor noise. Now it’s time to begin scaling up to a full sky observing campaign. But we need you to help us take the next step! Laser SETI is exceedingly cost efficient, but astronomy-grade cameras must be purchased and optics fabricated. Meanwhile, the team must work to finish development and run SETI operations. $150,000 Dual site operations can commence with 2 cameras at each location. Full time, high confidence SETI can begin with one 75 degree-across patch of sky. And, to show our excitement, we’ll announce a BONUS PERK!!! You can’t see the whole sky from any one part of the globe. Below is a map of ideal locations for the observatories. Technically, only 6 are required to see the whole sky (red dots), but secondary observatories (gray dots) provide greatly increased statistical and physical validation of signals detected, as well as basic coverage when a primary site has bad weather. 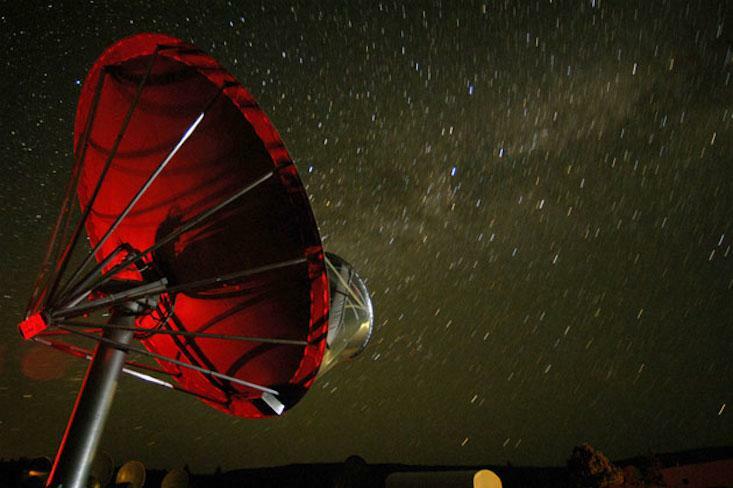 The SETI Institute is a leader in its field and well suited to take on this audacious project. However, as with all science and engineering, specific outcomes cannot be guaranteed. We believe the minimal risk that remains is demonstrating the observing strategy with multiple cameras and initial data collection at large scale. The hardware has been designed to be robust and the camera itself has been extensively field tested. There’s some software still to be developed, but that is mostly automation and cloud data collection and reporting. Maybe you just can’t contribute directly, or you already did and still want to do more, you’re in luck! SETI is an endeavor for all humanity, and we need your help getting the word out to all interested parties! Tell your friends, share with the buttons on this page, light your laser beacon!